Last week, Limo University Content Manager, Gabby, had the opportunity to speak with Sam Mallikurjunan, a Hubspot Fellow. Hubspot is one of the leading platforms for businesses to conduct their marketing and sales strategies. Sam has filled many roles within Hubspot - ranging from serving as an Inbound Marketing Consultant and Head of Experimental Marketing to Head of eCommerce Marketing and Head of Growth for Hubspot Labs. Currently, he travels across the world in a Sprinter with his wife and their dogs - presenting at conferences and teaching a digital marketing course at Harvard University. Listen to the interview, read the transcript, or glance at the brief overview of Sam and Gabby’s conversation below. Sam talked about a variety of topics, but the overarching theme was clear. Businesses are and need to continue rethinking how they attract, convert, and retain customers and clients. Here are the top takeaways from our interview with Sam. 1. When in doubt, start with being really good at keeping clients. Without a doubt, it is much easier to focus on growing traffic than doing everything necessary to retain current customers and clients. But, the better a company is at keeping clients, the more it can spend on gaining new clients - and the more innovative approaches it can implement. “Solve for that piece first and that’s going to fund the flexibility to be innovative,” Sam said. 2. Realize that sales representatives are no longer the gatekeepers of information. Sales representatives used to hold all of the knowledge about a product or service. But now, consumers and clients have all of the information they need and more at their fingertips to make a purchase decision. For this reason, investing in a strong digital marketing strategy is key. 3. Building relevance in your audience’s eyes helps you corner your market. Before you even think of creating content for the awareness stage of your service’s buying cycle, consider the existence of a relevance stage. This is the phase where your audience doesn’t even know they have a problem yet. It’s based on interest in a concept or an idea. Think about your service from a 30,000-foot view and list out those types of people who could be interested in your service. What content could you create to draw on that interest and capture attention? 4. Focus on a singular goal, a common objective. We all want to master Facebook ads, start blogging 100 times a week, and be a boss at Google Adwords. But, attacking multiple goals at once dilutes the strategy and negatively impacts the outcome. “I like to talk about the phrase ‘Who catches two rabbits catches neither,’” Sam said. When determining how to navigate the changing digital marketing landscape, take one step at a time. Master one discipline, then another, and learn precisely how different tactics feed into one another. GABBY: I understand that you kind of played a role in disrupting the ecommerce industry with inbound marketing and I was wondering if you could talk about that experience and a little bit about yourself to kind of start our conversation there. SAM: My role at Hubspot is I am a Hubspot Fellow so I teach digital marketing at Harvard University’s division of Continuing Ed and I am a designated speaker at events so I go around and speak. I do podcast interviews. And I do research and stuff like that. I worked on our R&D team. I was the head of growth for a little while. Part of that was the inbound.org community and some freestockphotos.org, some of those free tools - some of what we call moat poles. A moat pole being an allusion to building a moat around your business to make it harder to disrupt you. Prior to that, I was our go-to for the ecommerce space. So, the ecommerce space adopted digital marketing way faster than the B2B space and then they completely stagnated. Where the B2B space really took until 2010-2009 to start cranking up, the ecommerce space in the early 2000s was already doing it. But they haven’t really changed since then. They still spam their entire lists 3 times a week with a coupon and call that email marketing. Even Amazon, I get 3-5 emails a day from Amazon. It’s obnoxious. And all they do really is they focus on the top of the funnel. Just PPC, on-page SEO, that kind of stuff. So ours was changing the conversation to have them have that inbound methodology of helping people make decisions. Don’t start a conversation with trying to sell somebody something. Start a conversation with asking somebody about their problems and then move them through. Then, once they buy from you, acknowledge that if you want to get them to buy again, that that is another decision they will have to make and not just spamming them with a coupon. That was the ecomm team, which is now a core part of Hubspot’s business. We launched a native integration with Shopify which is one of the largest ecommerce cart providers in the world. Then, after that I ran our expansion, the marketing expansion in Latin America until they could find somebody better to replace me for that job. GABBY: That’s really interesting. 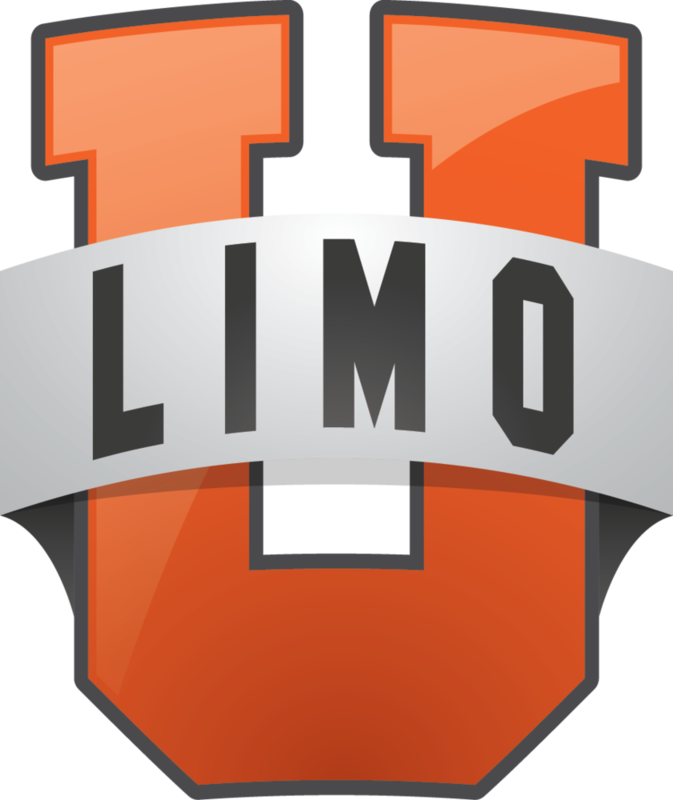 And I think here in my role at Limo University, we work a lot with B2C companies and I think in the education process because we do a lot of educating about how to get new leads and how to really educate them through that funnel until they are qualified to make a purchase and a lot of times that is a difficult concept to grasp. I’ve worked with Hubspot a lot and I really think their education is on point. I was wondering, how do you make that point - I know you are also a consultant - so how do you kind of frame that conversation in a way that whoever you are working with understands and gets it? SAM: We’ve got a ton of data if you don’t believe us. We can point to the correlation studies that show - the podcast I had this morning was about sales - we did a big regressive study analysis that had sales managers rate their team based on characteristics like closing ability, overcoming objections, needs identification, and some other stuff. It turns out that closing ability actually has an inverse correlation to long-term quota attainment. If you are a good closer - like we used to train, always be closing, put that coffee down, coffee is for closers kind of stuff - you’ll hit quota short-term, but you are actually less likely to be long-term successful with the company than if you have previous domain experience. That was the thing with the highest correlation. That’s why at Hubspot a lot of our best sales reps are people who used to be marketers. Because we are marketers marketing to marketers about marketing. If we can find somebody who can say “Listen, I have been in this situation before. I understand what you are talking about.” So we have a ton of data we can show people on that, that’s how the consultative process works. Then there’s just the anecdotes. You don’t want to buy that way. And especially if you are talking to entrepreneurs and business owners. Like, the last time they bought a car, that sales rep was probably a sad and pathetic figure in the process. I almost feel bad when I buy a car. I bought a Beaman, I bought a Toyota here back when I lived in Nashville briefly. I waited until it was the end of the year and it was 26 degrees outside and I went and found the person who was still standing in the parking lot greeting customers because that is the person missing quota and I already knew everything about every car on his lot. I knew everything about everybody within 50 miles who had paid for that car. I knew what he had paid for that car. I knew the invoice price for it. And so the idea that you are going to go through the classic sales process where the sales rep is the gatekeeper of information that sort of feeds into the prospect and sort of just hard closes them, that doesn’t make sense anymore. Once you confront people with both the data and then the personal stories that we all have of we have more information than we could possibly use to make a decision. Then they start to see that from their own perspective. It’s a hard shift to make though. GABBY: I also noticed that you are a big proponent of sales enablement. I was wondering if you could explain the concept for our listeners and also speak to why you believe it is so important in the current business landscape. SAM: Sales enablement is this idea that the marketing organization and the sales organization should function together as a singular unit in customer acquisition. And usually we don’t. So, I’ve done both. I’ve done both sales and marketing. And I think it was the Corporate Board Study said 86% of the adjectives we use to describe each other are negative. We don’t like each other. I had one sales rep literally tell me like “I hate marketers because they get in the way.” There has always been this negative connotation between the two. Some of it is the alignment within the organization and everyone needs somebody to blame so sales says the leads are weak and then marketing says you don’t follow up with the leads. So there’s that natural tension there. But it’s this idea that they can work together and they can close better if they do. And that the marketing team can deliver context to the sales rep and then deliver content to help them close the sale. We don’t just sit in the corner making brochures, like playing with crayons. We are collecting data, personalizing the experience, blurring the line between the marketing automation process and the sales rep, how to help them scale that behavior. The why I think it is so important is mostly math. If you increase the traffic to your site by 10% and then you are converting 5% of that into leads and then you are converting 20% of those leads into customers - that 10% has a very diluted benefit throughout the funnel. But that’s what we always focus on - PPC, blogging, SEO, everything else like that. If you can get your sales reps closing 25% of the leads instead of 20%, you actually have a much bigger impact on the overall company revenue than if you just boost your traffic by 10%. Starting at the bottom of the funnel, don’t pour gasoline into a leaking engine is the way that I think of it. Start at the bottom of the funnel. Say like, ok, how do I make sure that we are really good first of all at keeping customers, then make sure that we are good at closing customers, then make sure that we are good at the middle of the funnel stuff. Then we’ve got this nice, big engine and let’s crank up the top of the funnel. It’s the opposite of a reflex. What we want to do is focus on the traffic stuff because we have total control over that than focusing on the bottom of the stuff which is the sales enablement. When I teach, I actually show it as a pyramid. So I show starting with the customer lifetime value. You should have validated that hypothesis in the startup phase of whatever your business is. You know you want some ratio balance between acquisition and value. You can say if my customer lifetime value is $1,200 and I want a 1:3 ratio, that means I’ve got to spend $400 to acquire a customer. Then back your way out of that pyramid. How good am I at closing customers? Well, I close 10% of them. So I can spend $40 getting a lead then. How many visits turn into leads? 10%. I can spend $4 sending someone to my website. Then work on the piece that way. GABBY: A lot of what you’ve been talking about is sustaining your current customer base before working on acquiring new customers or clients. Is that your belief or are there instances where acquiring new leads is more important than focusing on that middle part? SAM: It depends on what phase of your business cycle is in. If you study finance in the US, you are eventually going to come across the phrase cash flow is more important than your mother. By the way, do not use that phrase if you are pitching at a startup conference in the Middle East or something or in Asia because that is wildly offensive. I was speaking at a conference in Istanbul and I did that and it was just dead silence. Everybody was like my mother is a wonderful person. But there is some of that where you are just trying to push revenue through, you need cash flow, and you are also just trying to validate that cost. Like who is going to be a good customer? You don’t know that until you test out some of these things in the first phase of developing a startup. But then, you and I could go launch a startup right now and whatever the thing is, I could just sell more of it than customers could cancel for a while. I am good at sales and I could just sell faster than people could call and cancel and you can process their cancellation for a while. But eventually we reach a point where we can’t do that anymore. I can’t sell faster than the customers are cancelling and that’s where you see companies hit this growth plateau. Their revenue starts to stagnate. Their growth starts to stagnate because they aren’t good at keeping those customers around. Starbucks is my favorite example of this. Starbucks has an average order value of about $6 with their coffee and food and everything else that they have. But they have an average customer lifetime value of over $14,000. So, if you are a Starbucks marketer trying to spend $2 to acquire a $6 cup of coffee, you are trying to spend $3k, $4k, $5k to acquire a $14k to $15k customer. And that’s why Starbucks can spend so much money to acquire customers. First of all, there’s a lot of them. There’s like 90 in Manhattan alone. Second of all, there’s like great leather couches, big fireplaces in New England, they’ve got better WIFI than I’ve got at home sometimes. As we have been on the road, Starbucks has been our go-to place just because they always have great WIFI and they can invest all of that money into that great experience and be better at acquiring customers than anyone else in the market because they are better at keeping those customers. GABBY: How can businesses catch consumers or clients early in that buying process to guide them towards their solution versus a competitor’s. So kind of shifting to that early process of, the consideration stage? SAM: We love doing, we love going after people who are ready to buy because it’s easy. We just big on buy marketing software now and the process is fast. But because it’s easy, it is a bloodbath. Everybody else is competing for the same customers, for the same amount of attention and it just becomes about who has better money and who has better economics. If you want to do the process where you get people earlier, you have to create content that brings them in earlier. I love Netflix, any one of these freemium models that do this sort of stuff. They bring people in to whom this product or service might be relevant. And they do a blog about - at Amazon - they have a blog just about sci-fi books and what are the interesting sci-fi books coming out. Even if you’re not actively buying books right now, you might be reading their blog and keeping up with that stuff. So it’s not just the awareness, consideration, and intent/purchase phase. There is actually a relevance phase. Can I just build an audience to whom my product or service is relevant? Then, can I farm some of those people into the awareness that they have a problem by framing it as your life isn’t the way you want it to be. Here’s these other things. Then move them to consideration. Then move them to sort of the comparison, intent, purchase. That relevance stage is hard and it doesn’t have - it takes a long time to kind of see the payback and it’s difficult to do because it makes you functionally a media company. But if you can do it, then you own the space. It makes it very hard for incumbents to come after your customers who are already in the purchase phase. It’s not the most immediately profitable way to do it, but it’s the most defensible way. If you want to own your market space long-term, you’ll have to own the attention of the people to whom the product or service is relevant. GABBY: What all do you believe goes into improving a consumer’s overall experience and where can small business start with this endeavor? Because you were just talking about doing that relevance, focusing on that relevance phase, but maybe as a small business, you don’t have that bandwidth, so are there any kind of small steps a small business could take in that direction without thinking it is a lost cause since the return is such a long process? SAM: It’s one of the reasons that starting at the bottom of the funnel makes a lot more sense, right? Be good at retaining your existing customers. Then be good at anybody who expresses an interest in turning them into a customer. Then be good at getting more people to express interest, then worry about the awareness and relevance phases. I like to tell the flower story. I had a friend in Tampa who owned a florist, a flower shop. And they had another flower shop that popped up and they started buying billboards and ads and all kinds of stuff that flower shops don’t normally do. So I went in there because I was like this doesn’t make sense. They are probably just doing it wrong and they are going to go out of business. But I went in there and I tried to buy from them and the woman behind the counter looked at me and asked who are you trying to buy flowers for? And I said I was trying to buy flowers for my girlfriend because it’s her birthday tomorrow. And she said, what kind of flowers does she like? I have no idea what kind of flowers she likes. She asks me some questions and she helps me come up with a good arrangement. It was a nice consultative process. She was good at turning me into a customer. But then she says, listen, I heard you say that your girlfriend’s birthday is tomorrow, do you want me to remind you like two weeks in advance next year so that we could do something cooler? I was like yeah, that would be awesome. Please do that. Because I forget stuff. She was like cool, is there anybody else you buy flowers for? I was like well, you know, my mom I would like to buy flowers for her. She was like ok, when is her birthday? Then I was like well, I would like to buy flowers for church and she was like ok, when would you want to buy them? And by the time she was done I was buying flowers from her like 8 times a year, 12 times a year. So she got really good at the monetization piece. And because of that, then she is able to invest in having the more interesting marketing. And billboards isn’t the most interesting marketing. It’s just what occurred to her at the time with the money that she had. But really solve for that piece. If you are good at keeping customers, then you can be innovative. People ask why Hubspot pays me to fly around and speak at conferences and stuff like that. We can invest in innovative marketing with our team and we can try weird, weird, new things - some of them don’t work and some of them do - but we can do that because we are really, really good at keeping customers. So we can spend a lot of money to get customers. We have almost a 200 person marketing team at Hubspot. It’s like 10% of the company is just our marketing team but we can afford to do that because we are good at keeping customers. So solve for that piece first and that’s going to fund the flexibility to be innovative. GABBY: What’s the value of focusing when it comes to your sales and marketing strategies? Because I know you have talked a lot in the past about how important it is to focus and to have a singular goal and not chase shiny objects, so is there any way that in your personal life or professional life that you have come up with some kind of tactic to make sure you are keeping on a certain course and not getting distracted? SAM: There are some methodologies that are good like agile sprints and stuff. I have a tiny, little imaginary figure of my former boss who appears on my shoulder and whispers focus, focus, focus in my ear. Especially when you have smart people, that’s the challenge. Smart people hate to see an interesting problem go unsolved. And usually, the problems involved in scaling up are no longer interesting because you’ve already solved them. You just have to execute on the model and make these improvements and stuff like that. I like to talk about the phrase “Who catches two rabbits catches neither.” The hardest thing to do when you have two billion dollar opportunities is not to go after both of them at 80% because somebody is going to beat you going after one of them at 100%. The hardest thing to do is focus on one and ignore the other one entirely. We actually use a strategic framework called MSPOT. The M stands for Mission. S is Strategy. P is Playbook. O is Omission. And T is Target. I love the Omissions part because the key to getting smart people to focus is to acknowledge that you also see the opportunity or problem that they see but you make an intentional decision to omit that from the current strategy. Smart people can usually bring themselves to accept that. What they don’t accept is no, you don’t understand how interesting this is. I understand how interesting this is. I am actually going to list out all of the interesting things we are not going to do under the Omissions section of the MSPOT. And it’s hard. It’s brutally hard, but you’ve got to do that. Because the Mission is the most important piece and then focusing your way down. And if you don’t specify - like listen, I think this is a cool thing, we just aren’t going to do it right now and then revisit that every certain number of months or years - then you are going to be firing off in a million directions catching 30 rabbits.